Members of the Louisiana State Police Criminal Intelligence Unit arrested Elbert White Jr., 58, of Shreveport Monday, Dec. 3. 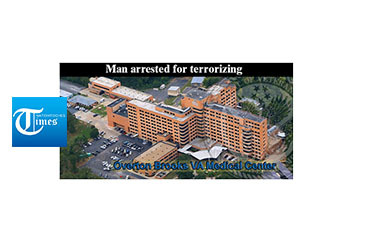 White was employed at Overton Brooks Veterans Affairs Medical Center in Shreveport. After learning he was being terminated, he told a co-worker he was going to commit a mass shooting at the hospital. Upon learning of the threat, Veterans Affairs Police contacted LSP-CIU Bossier Field Office and the hospital was placed on lockdown. LSP-CIU obtained a warrant for terrorizing through Caddo Parish District Court. Around 9:15 p.m. that night, Troopers from CIU, CID, SWAT and patrol located and arrested White without incident. White was booked into the Caddo Correctional Center and charged with terrorizing and violating his parole. The Louisiana State Police has and will continue to take such threats seriously.